A Good Day to Die Hard became a Good Weekend to Die Hard as the fifth installment of the action series took the #1 spot at the weekend box office. 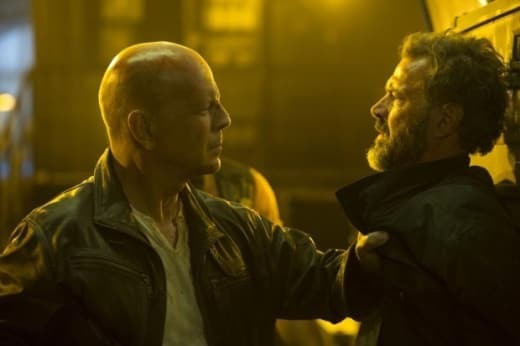 Bruce Willis, Jai Courtney, Sebastian Koch, and Yuliya Snigir star in the film, which earned $25 million in its opening weekend. Identity Thief drops from first to second in its second weekend in theaters. The Jason Bateman/Melissa McCarthy comedy brought in $23.4 million for a total of $70.7 million. Coming in third place is another new film, the Nicholas Sparks adaptation Safe Haven. Julianne Hough and Josh Duhamel star in the romance, which took in $21.4 million. Escape from Planet Earth and Warm Bodies round out the top five. The two films earned $16.1 million and $9 million, respeciviely.